COAST CITIES— The U.S. NRC (Nuclear Regulatory Commission) fielded numerous questions about the incapacitated SONGS (San Onofre Nuclear Generating Station) from San Diego politicians and a myriad of Southern California residents at a public meeting on Feb. 12 at Capistrano Beach. The meeting took place just after Senator Barbara Boxer’s recent accusations that the plant’s operator and primary owner SCE (Southern California Edison) was aware of problems with the plant before its emergency shutdown over a year ago. A panel of NRC staff and several SCE officials addressed more than 1,000 people at Capo Beach Church to provide basic information on the commission’s ongoing investigation of SONGS and consideration of SCE’s proposal to restart part of the plant at a reduced capacity. “I’m here today to testify, to ask that SONGS remain closed until every safety issue is resolved. Public safety, and not money and not nuclear power must be our number one concern,” said San Diego County Supervisor Dave Roberts at the meeting. SONGS was shut down in late January 2012 after a small leak of radioactive fluid within the plant’s Unit 3 led to the discovery of unprecedented degradation of steam generator tubes. Subsequent inspections uncovered additional tube wear in SONG’s other unit, Unit 2. The NRC as well as the California Public Utilities Commission is currently investigating SONGS to establish whether or not the station can safely provide electricty in the future. SCE has since proposed restarting SONGS’ Unit 2, which had less extensive tube wear, at 70 percent capacity for five months and then reexamine the steam tubes. While the opinions voiced at the meeting both supported and opposed the restart, all statements made by San Diego representatives expressed concerns about the plant’s safety. “We call for a full, thorough, and transparent investigation regarding the operation, design, and the engineering (of SONGS),” said Solana Beach Mayor Mike Nichols. The meeting was held, coincidentally, about a week after Boxer revealed concerns about SCE’s and SONGS’s manufacturer’s awareness of the station’s steam generator problems. Boxer wrote to the NRC on Feb. 6 after uncovering a report from the steam generator’s manufacturer, Mitsubishi Heavy Industries (MHI), which addressed the reasons for the unusual tube wear. 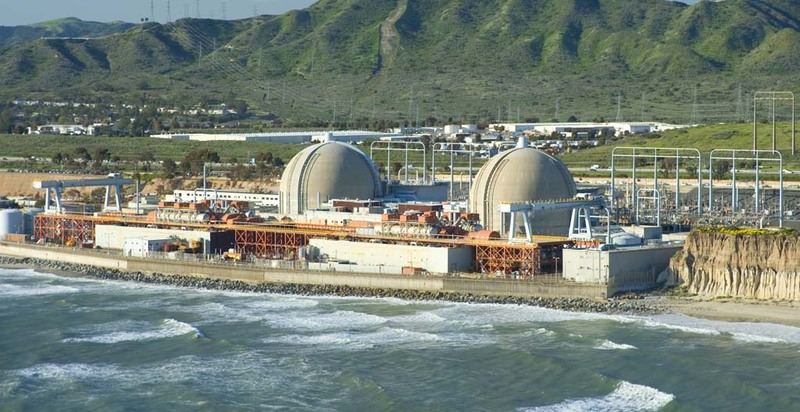 “The report indicates that Southern California Edison (SCE) and MHI were aware of serious problems with the design of the San Onofre nuclear power plant’s replacement steam generators before they were installed. Further, the report asserts that SCE and MHI rejected enhanced safety modifications and avoided triggering a more rigorous license amendment and safety review process,” stated the letter, which was signed by Boxer and Representative Edward J. Markey. NRC Chairman Allison Macfarlane’s response letter stated that the commission was examining MHI’s report as part of its extensive inspections and investigations of SONGS.